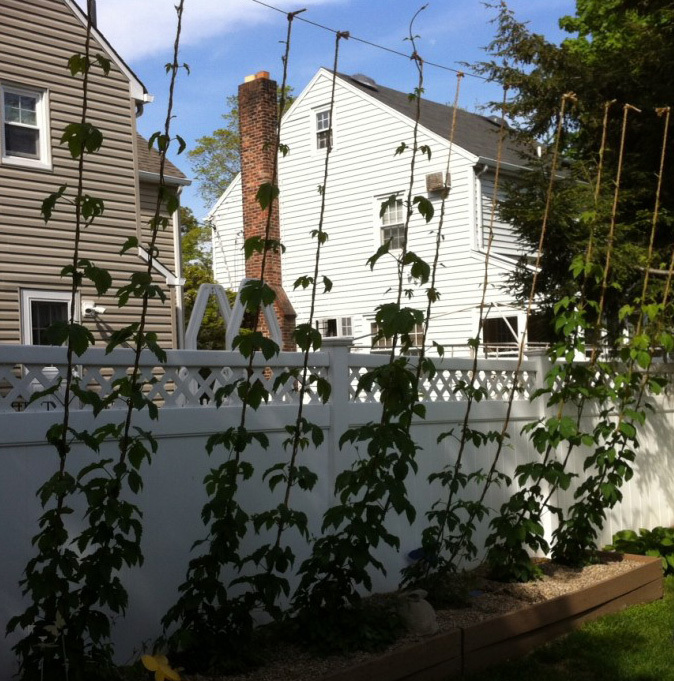 Peter Kennedy’s homegrown hops are thriving in this year’s warm spring. It sounds a bit like a witch’s brew, but mugwort and horehound are but two of the many flowers that can make your beer bitter, along with more traditional hops. Ben Grainger of Bierkraft and Peter Kennedy of SimplyBeer.com discuss growing their own beer ingredients and the “Bible,” The Homebrewers Garden (authors Joe and Dennis Fisher join in by phone). If you’ve ever wondered how to use dandelion or heather in your mash, this episode is for you! The Fishers talk about their journey from growing a few ingredients (many of which can be grown on a windowsill for interested apartment dwellers) to becoming farmers up in Maine where their crops include hops and other brewing botanicals. And it wouldn’t be Beer Sessions Radio™ without some colorful anecdotes, including drinking with wildlife and camping out with makeshift home brew.